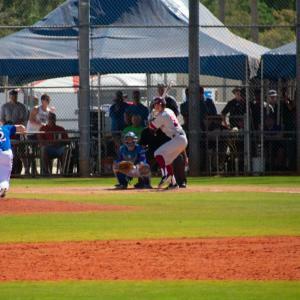 PUNTA GORDA/ENGLEWOOD BEACH, Fla. (April 12, 2019) – The Punta Gorda/Englewood Beach Visitor & Convention Bureau has released economic impact data for the 11th Annual Snowbird Baseball Classic held Feb. 15 – March 22, 2019 throughout Charlotte County. Commissioned research suggests 10,570 attendees who live outside of Charlotte County generated an estimated $8,692,300 in direct spending benefiting Charlotte County, businesses, and citizens. When the increased business spending and increased household spending resulting from tourism dollars are factored with direct spending, the total economic impact is an estimated $13,299,200. The five-week tournament attracted 19 NCAA Division I and 25 Division III collegiate teams. Total attendance which included in County and out of Charlotte County attendees is estimated at 13,120 which includes spectators and 1,820 coaches, players, trainers and other staff. Out-of-town visitors stayed an average of 7.3 nights and occupied more than 23,300 room nights in Charlotte County accommodations. The Punta Gorda/Englewood Beach Visitor & Convention Bureau commissioned Downs & St. German Research of Tallahassee to conduct research and calculate the estimated economic impact figures. Methodology in gathering data consisted of interviews with 144 Snowbird Baseball Classic attendees, event attendance, Punta Gorda/Englewood Beach VCB visitor tracking studies, and a tourism database at Downs & St. Germain Research. Economic impact is determined on the spending by non-Charlotte County residents who stayed in paid lodging, dined in local restaurants, purchased groceries, utilized transportation such as rental cars, visited attractions, event admission, made purchases in shops, enjoyed entertainment, and spent money on other tourism-related expenses. Caption: The 11th Annual Snowbird Baseball Classic attracted 44 NCAA collegiate teams and generated an estimated $13.3 million in economic impact for Charlotte County.